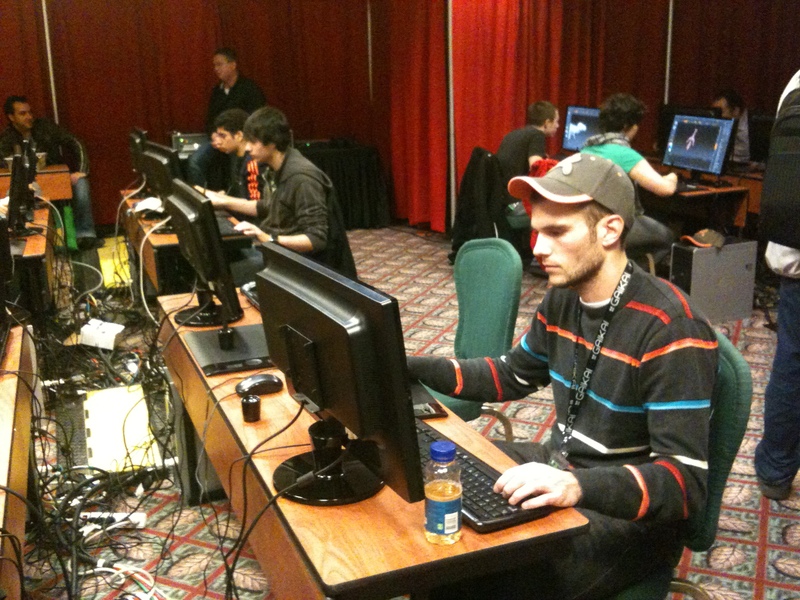 Many thanks to all those attending our events in Montreal and Quebec City. 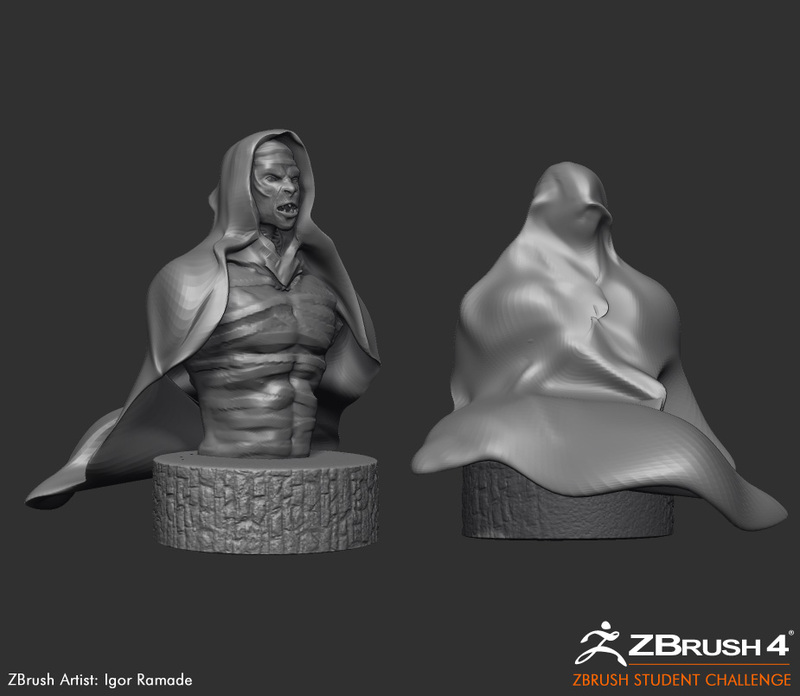 It was great to meet you; we hope you enjoyed our ZBrush presentations and activities and we look forward to seeing you again in the near future! 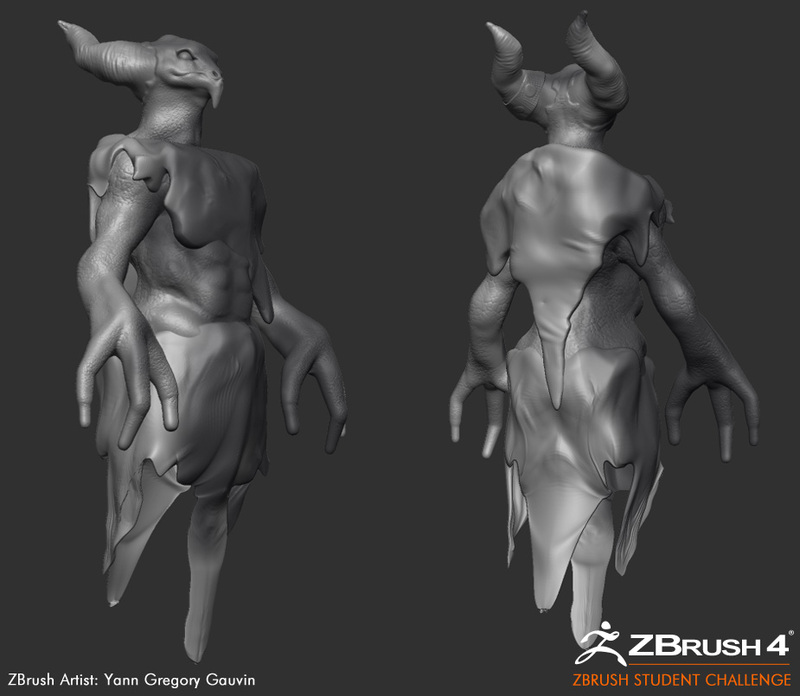 Thank you for completing and submitting the ZBrush on line comment form. 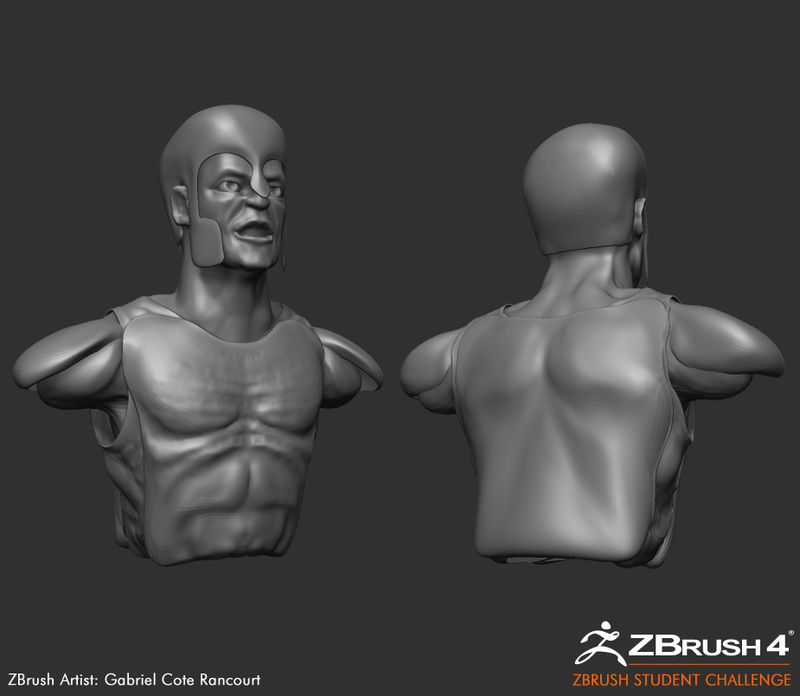 They each receive a full commercial license of ZBrush 4! 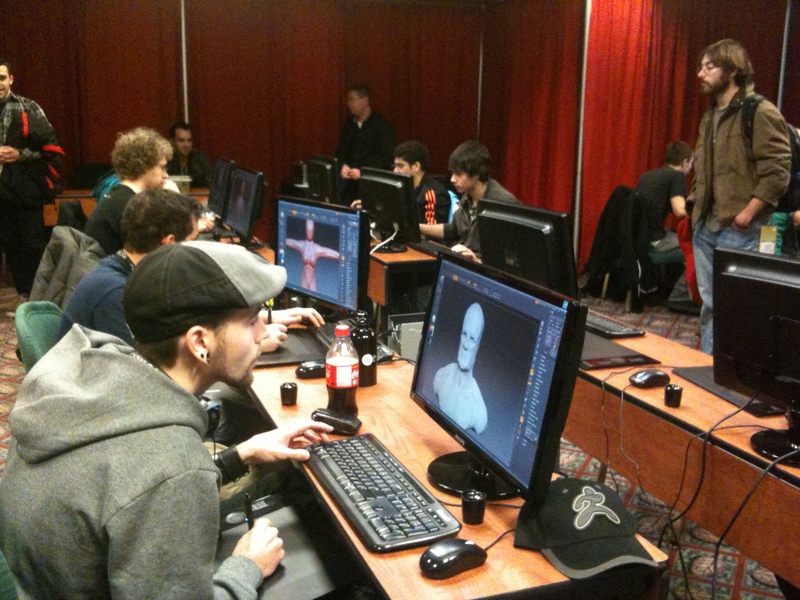 Our ZBrush Student Challenge (in association with Wacom) at the Montreal International Game Summit (MIGS) proved to be a great success with 17 students being challenged to create a ‘Leader of an Empire’ game character in ZBrush, ‘live’ from scratch in 3 hours! 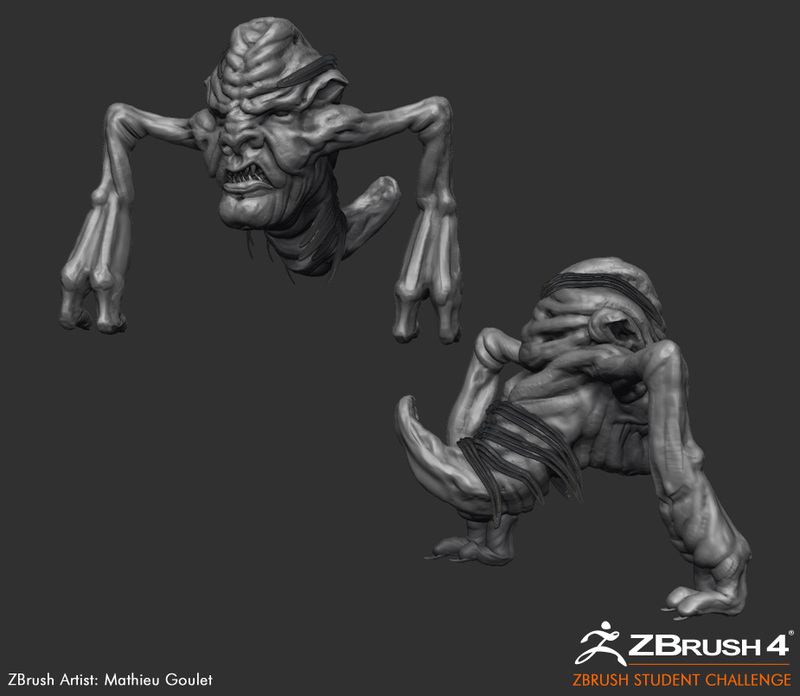 The first ever ZBrush ‘live’ real time challenge created a thrilling and captivating buzz as students’ creations came to life on monitors and a large projection screen in the designated MIGS competition arena. 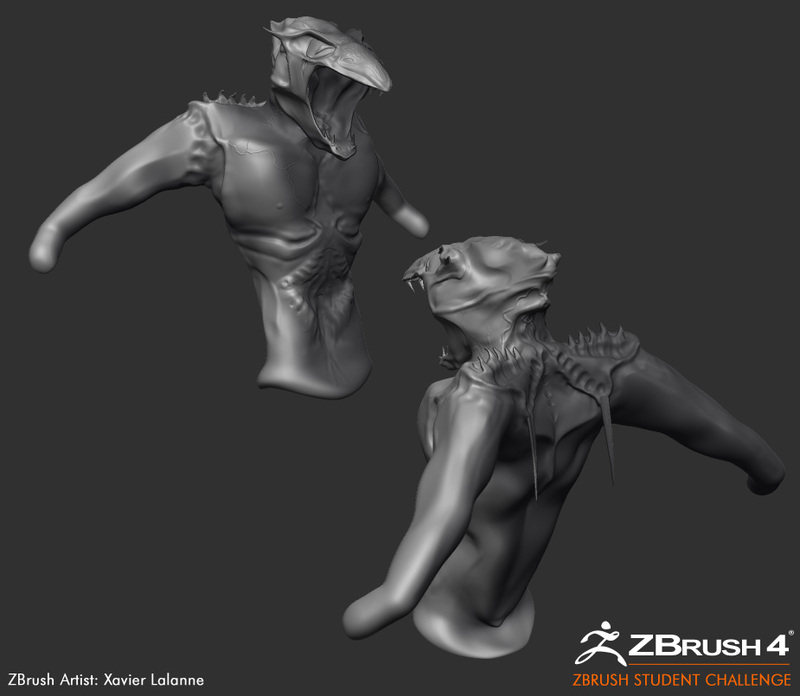 A big ‘thank you’ to all those student ‘ZBrushers’ who participated – we were very impressed with the standard of work and hope you enjoyed the experience and opportunity to show your artistic skills and creativity under the pressure and glare of fellow artists and students. 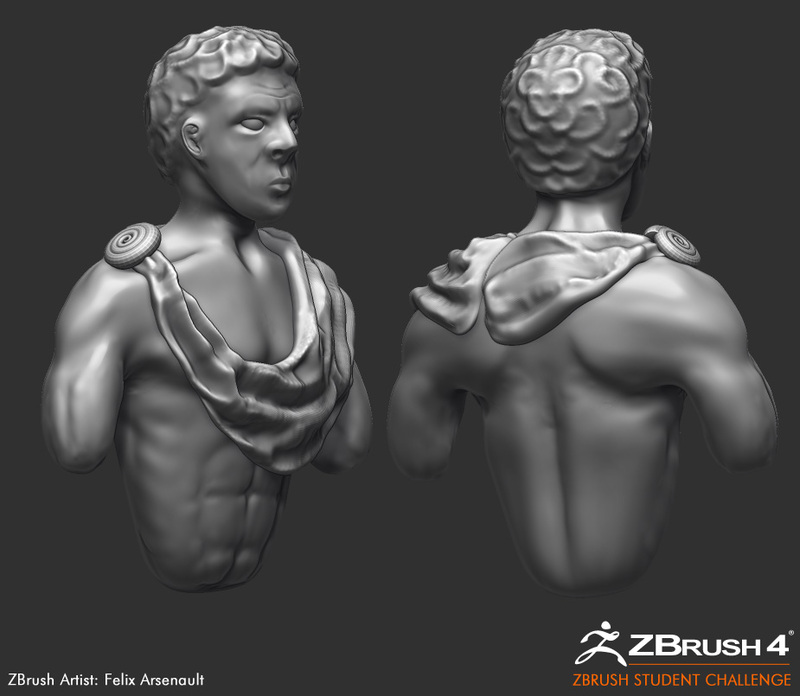 We hope to do more ‘live’ ZBrush competitions in the future! 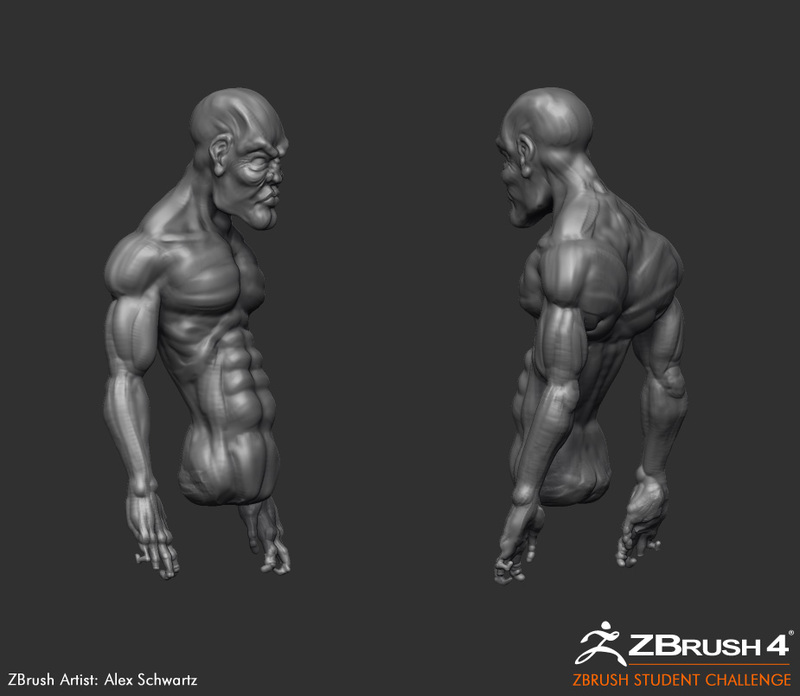 The winner was Alex May from Champlain College, Burlington Vermont! 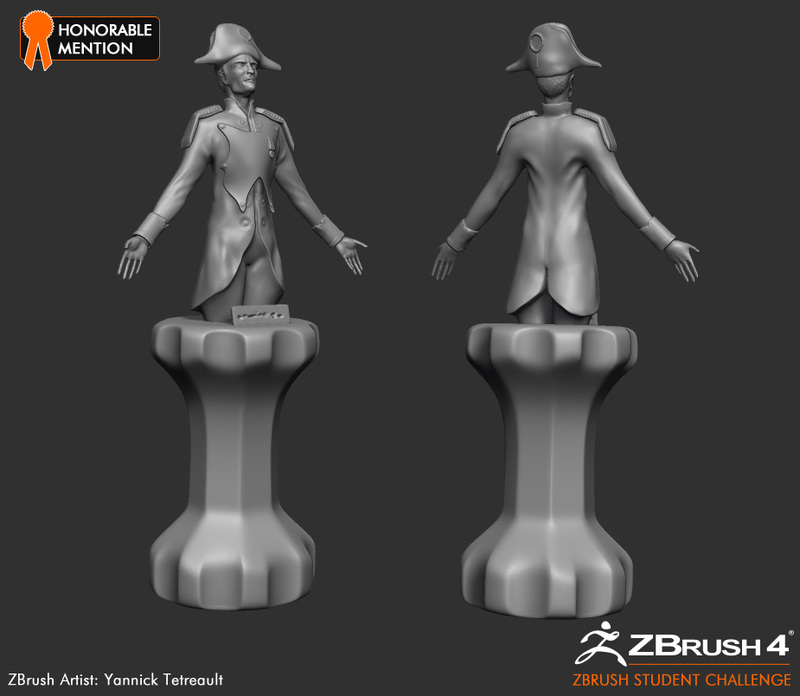 He was presented with a full commercial special anniversary package license of ZBrush 4 and a Wacom Intuos 4 tablet at our own Pixologic/Wacom academy style award ceremony. 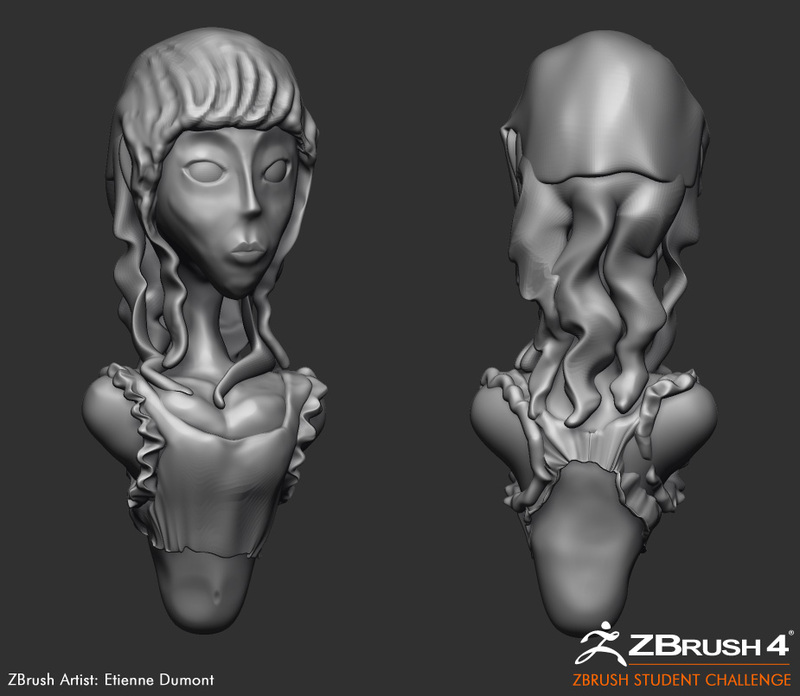 Please see ZBrush Student Challenge images below. Click each icon to view the full-sized image. And if you're going to be in Los Angeles this coming weekend (November 19-21) be sure to join Pixologic at the CTN Animation Expo 2010! Full information can be found by CLICKING HERE. 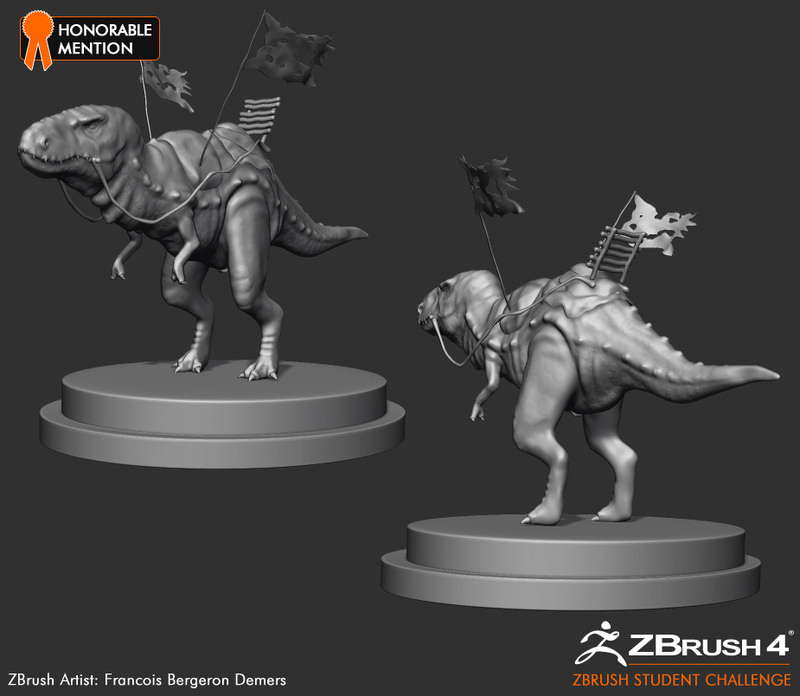 Hi, my name is François Bergeron Demers, I was one of the participant of the D3D ZBrush 4 challenge (I made the T-Rex) and I just want to say thanks to Paul Gaboury and the rest of the Pixologic team for this opportunity! 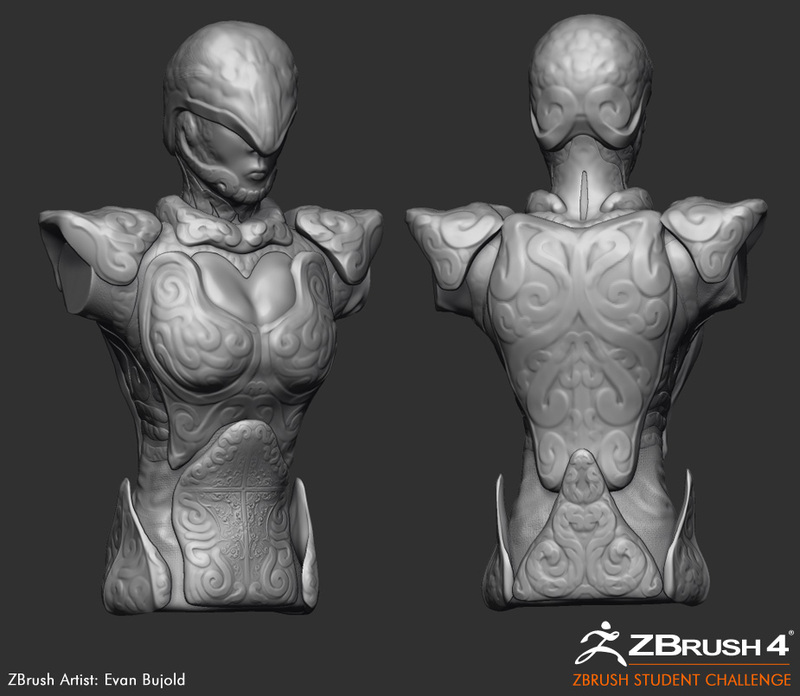 I dont have a thread of my work here on ZBrushCentral at the moment, I'm probably gonna create one in a couple of weeks once my session in college is finish, but for know I'd like to do some publicity for my DeviantArt page wich you can find at IndieBD.DeviantArt.com . They only had 3 hours? 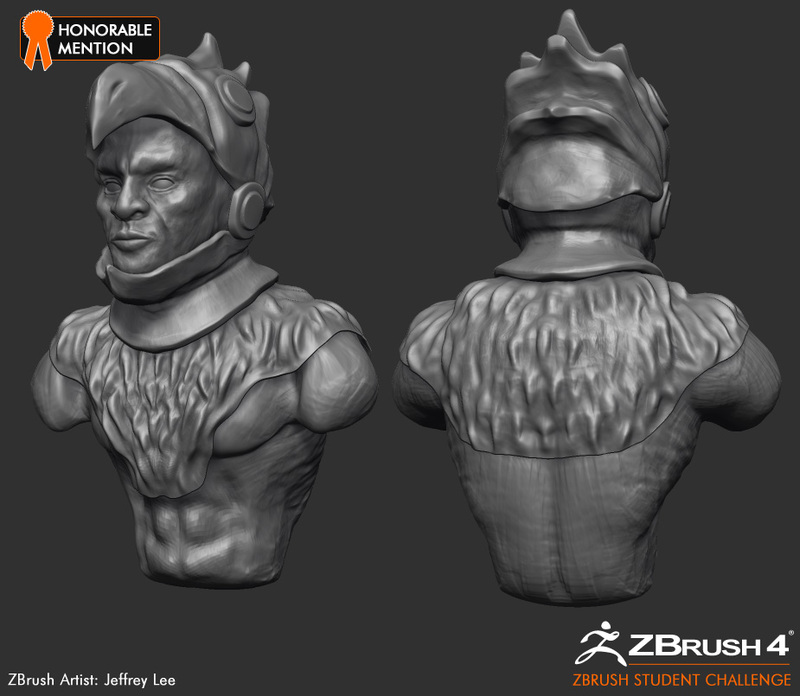 Wow, great work everyone... and cool ZBrush caps. 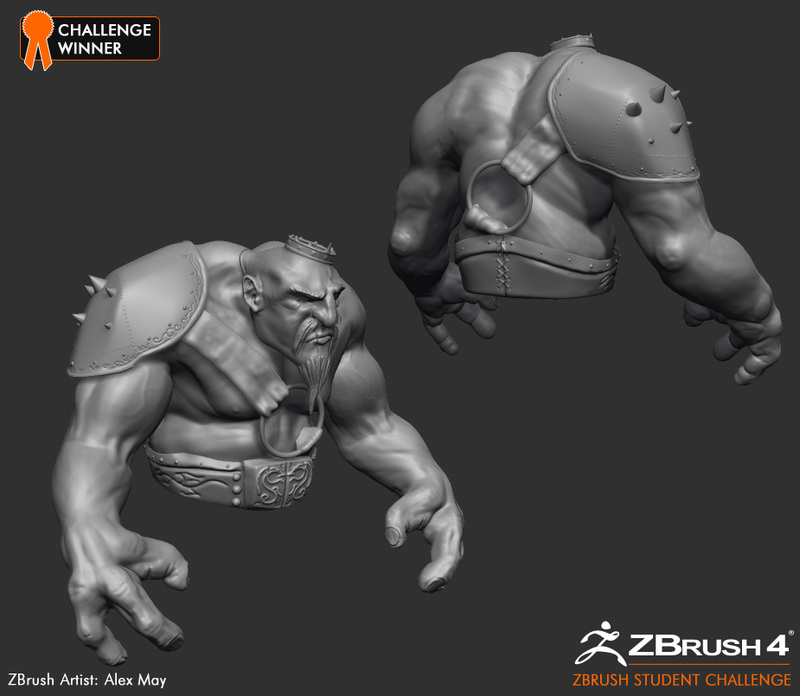 Btw, will there be another ZBrush contest here on ZBC someday? I`m waiting for revenge for almost two years now. 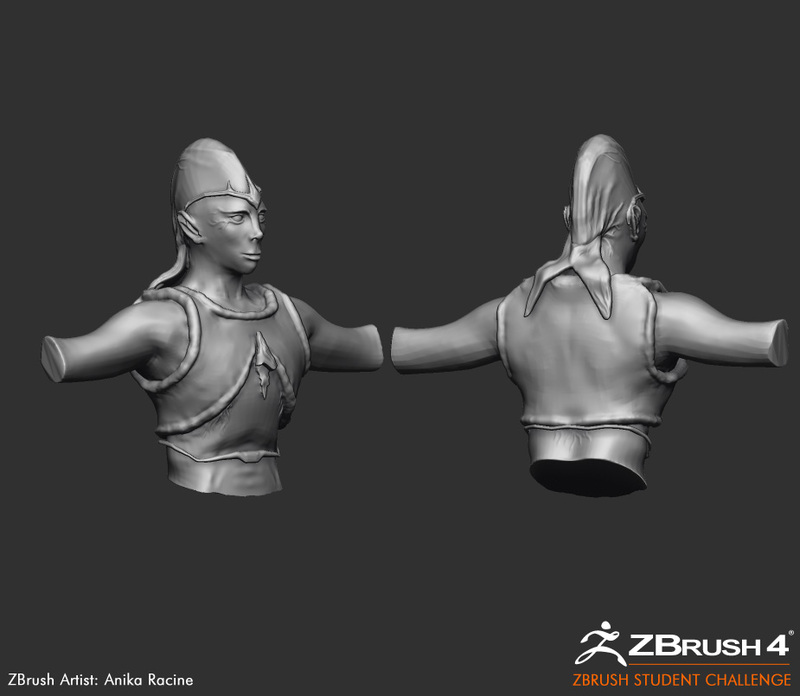 Great results..especially coming from 3 hours of work only! Will there be any other such events in montreal?